Welcome to the Lotus Effect! The lotus effect refers to self-cleaning properties that are a result of very high water repellence (superhydrophobicity), as exhibited by the leaves of the lotus flower. 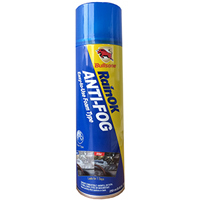 restore driving visibility. Remove any pollutants or stains with a damp towel. Spray on glass for 3 seconds. windscreen wipers. Lasts up to 2 months. 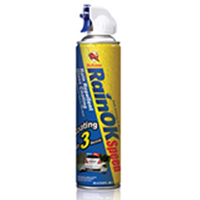 Prevents the fogging of windshields and mirrors and other car windows. Foam type application provides even application to surface using only a small amount per section. Very easy to use. 250ml can. 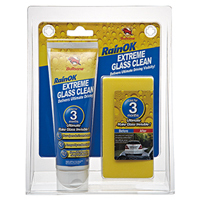 Unique 2 in 1 formula cleans the glass and repells dirt and water increasing visibility in the rain and at night. Lasts 1 -2 weeks. Removes grease, contaminants, dirty water and wax grime from glass surfaces. Great for the car and the home. 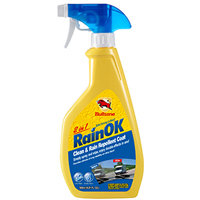 Follow up with RainOK Speed Spray or RainOK Extreme Rain Repellent Treatment. 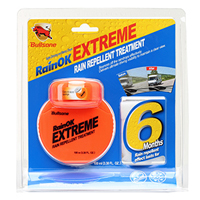 Extra long lasting rain repellent for glass. Apply product directly to clean glass with its unique built in sponge applicator and lightly squeeze the bottle. Use extra cloth to ensure a smooth coating is applied and apply extra if necessary. Lasts up to 6 months.